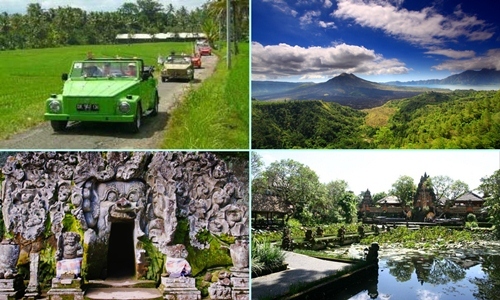 Bali VW tour is a Bali Full Day Tour Packages which is offer diffrent sensation by using Classic Volkswagen Safari Car to discover places of intrest in Bali. The tour price we offer is already included 21% tax & service charge. So you no need to pay more just prepare money for others expenses during the day trip. And the tour itinerary we offer is already designed such away however you can change if one of our itinerary been visited or you can skip it if would like to change with visit other interesting places. Below is our best selection of Bali tour packages that you can made book with us and let’s us know in advance if any change itinerary that you need changed.